Valerian is a flowering plant native to Europe and Asia and now widely grown in North America. It sends up stems about 2 feet high, with clusters of tiny white flowers. But while it can be attractive to look at, valerian features a pungent, musky odour that some find offensive. It is primarily grown for its root, which has a long history of medicinal use in many cultures, primarily to treat anxiety and sleep disorders. Valerian root has been used since ancient times—both Hippocrates and Galen mentioned it in their writings. It’s not surprising that it’s still popular today: with stress affecting most of us, and with more than $21 billion spent annually on anti-anxiety benzodiazepine drugs, valerian is a natural alternative worthy of review. Valerian is primarily used as a relaxant and for managing anxiety. If you have problems sleeping because your mind is racing, valerian may be your saviour. Research shows show it improves both quality and duration of sleep. However, it won’t help much for the one-off disturbances you might endure when suffering from jet lag. Valerian works best is if you have a more chronic sleep issue and you use it for 6 to 8 weeks to develop a good sleep schedule. The best time to dose up is about 2 hours before bedtime: this should help you fall asleep about 15 to 20 minutes faster. If you have decided or been advised to stop taking a benzodiazepine drug (such as temazepam), valerian may help. In some studies, tapering benzodiazepine over 2 weeks and using valerian extract improved sleep quality. There is also new research suggesting that valerian can improve sleep in children with intellectual challenges who naturally have a higher incidence of sleep-related issues. 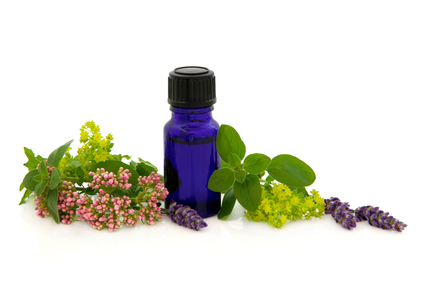 Best of all, valerian is much safer than pharmaceutical drugs. The German Commission E (a regulatory body for natural remedies) has approved the use of valerian as a mild sedative, and both the American Pharmaceutical Association and the Natural Health Products Directorate in Canada have given valerian a high rating for safety and efficacy.